Dr. Savetsky is a board certified Cornea/External Disease and Refractive Surgeon, specializing in LASIK, PRK, corneal transplants, cataract surgery, Pterygium, dry eye, and general ophthalmology. In fact, Dr. Savetsky has been trusted by fellow doctors to perform LASIK and even had laser corrective surgery on himself! This experience has given him better insight into his patientsâ experiences before, during, and after surgery. Furthermore, Dr. Savetsky also offers premium Intraocular Lens technology and Femtosecond Laser-assisted cataract surgery. These new techniques offer patients a greater range of vision without glasses in comparison to conventional cataract surgery results. Dr. Savetsky also specializes in the treatment of Keratoconus and Fuchs Dystrophy. He provides the option of advanced corneal surgery in these patients including: DALK, DSEK, and DMEK. These procedures allow for post-surgical benefits such as: lower rejection rates, less trauma to the cornea, and a faster recovery of vision. In addition to treating ocular surface diseases, he also works closely with many other common ophthalmic disorders such as: macular degeneration, diabetic retinopathy, and glaucoma. He takes pride in offering his patients the best and latest technology for optimal results. Prior to joining the team of doctors at North Shore Eye Care, Dr. Savetsky practiced ophthalmic care in Los Angeles, CA. He received ophthalmology training at Tulane University Hospital in New Orleans, LA, where he then went on to acquire further training in cornea and refractive surgery at the world renowned Cleveland Clinic, located in Cleveland, OH. Thereafter, Dr. Savetsky has remained involved with various research studies and clinical trials for new drugs and treatments for the eye. He has also presented his work at The American Academy of Ophthalmology and The American Society of Cataract and Refractive Surgery medical education meetings. Restoring patientsâ vision has brought Dr. Savetsky immense gratification over the years and he is continuously looking forward to making a difference in his patientsâ lives. 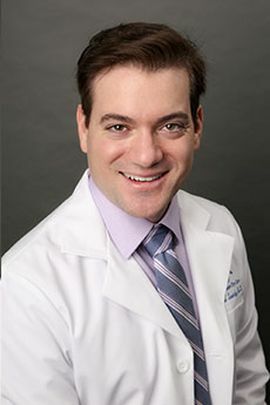 Educating his patients about their ailments is one of Dr. Savetskyâs priorities, so as to ensure that they fully understand their treatment options. The most rewarding part of his practice is seeing his patients achieve the best visual results possible. Dr. Savetsky is happy to be back in New York, so he has more time to spend with his family. In his spare time he relishes in writing music, spending time in the outdoors hiking, and traveling the world.